Who's got one of these and why shouldn't i buy one? "Everything will pass and the world will perish, but the Ninth Symphony will remain." I ain't got one but played the red one a couple months back. Was like �299 and totally awesome. Oh boy oh boy, this looks glorious and SO CHEAP. I have too many guitars but the only ones with any resale value are the ones I wouldn't get rid of. WHAT DO. 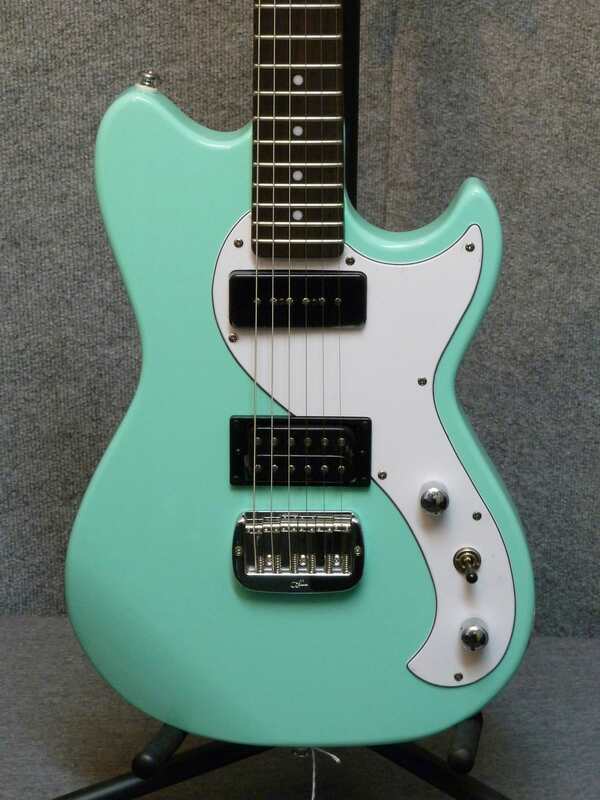 Love the looks and pickup combination; not so keen on the 25.5" scale, 12" radius and medium jumbos though. I like that it's long scale, medium jumbos, don't know about that radius on that style guitar. Can you get the red one with a maple neck? If you buy the american version you can get any style neck with just about any color they make. I played a US fallout and it's amazing. I can't imagine the import being too far off. It's a pretty basic set up. I don't know why they haven't gone for a bronco-eqsue trem, it looks pretty close already. Yeah, I'd like SS and vintage spec neck too. Looks like it ticks all my boxes too for a cheap rehearsal/sketchy gig situation. Body seems a bit small though- anyone got their hands on one? Wonder how it compares body size wise to a Mustang or Strat? The bridge pup in these is alright. Sounded like a more chilled SD JB. The necks felt exactly like CIJ Fender's. I haven't owned an electric guitar for two years since I moved to the states and sold off all of my gear. I picked up an acoustic to mess around with... but I need NOISE. So I just made an offer on the cheapest one of these I could find online - even if it's declined, I'll buy it anyway. It's cheap enough to allow me to pick up a cheap amp. Update... offer was accepted. Time for a NGD thread.